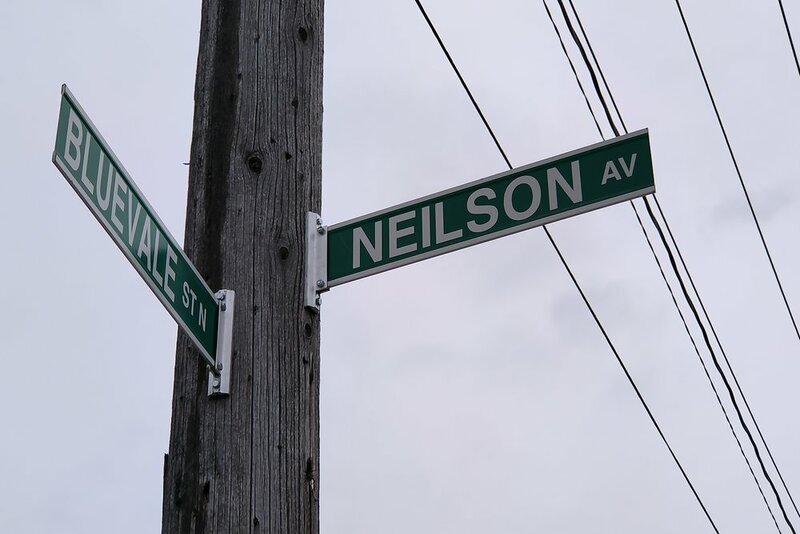 Much needed reconstruction of Neilson Ave. between Bluevale St. N. and Margaret Ave. N. will begin around April 8, 2019 and is expected to be completed in August 2019. The work will take place mostly on weekdays and during the hours of 7 a.m. to 7 p.m.
I’ve been informed that residents have been pretty engaged in this project to date - thank you – and this week’s Public Information Centre held at Moses Springer Community Centre confirmed that for me. There was a lot of buzz in the room, with some concerns being expressed, as well as a recognition that this work needs to be done. Information packages with what to expect during construction were available at the session. The package answers questions about black pipe replacement, interruption of water and sewer services (a few short interruptions during working hours can be expected, but they will be minimized as much as possible), streetscape changes (not many, but a small increase to the width of the sidewalk which will allow for two strollers to pass one another). Garbage pickup: Garbage, blue box, and green bin pickups will continue. When the road is closed the construction crew will bring your boxes to a spot where waste collection service can get to. Make sure to put your waste at the end of your driveways and to write your address on containers and boxes. Traffic calming: Staff really heard residents’ requests to look into traffic calming possibilities. It was determined that traffic calming will not be part of the construction, but let’s continue to communicate with one another and staff to explore post-construction traffic calming options. While the company and city will do everything they can to minimize disruption to you, as well as make coming and going as easy as possible, they want to remind residents this is a construction zone, so entering and exiting is at your own risk. You can direct questions/concerns to me at jen.vasic@waterloo.ca, or the staff person managing this project at caroline.amyot@waterloo.ca.